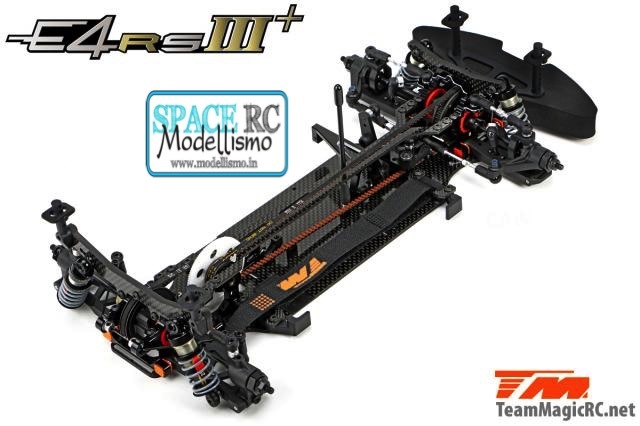 Team Magic have introduced the E4RS III+ electric touring car kit. 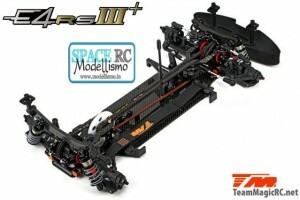 The follow-up model of the E4RS III, that was only introduced around eight month ago, features some subtle revisions with more than 90 percent of the parts remaining the same. 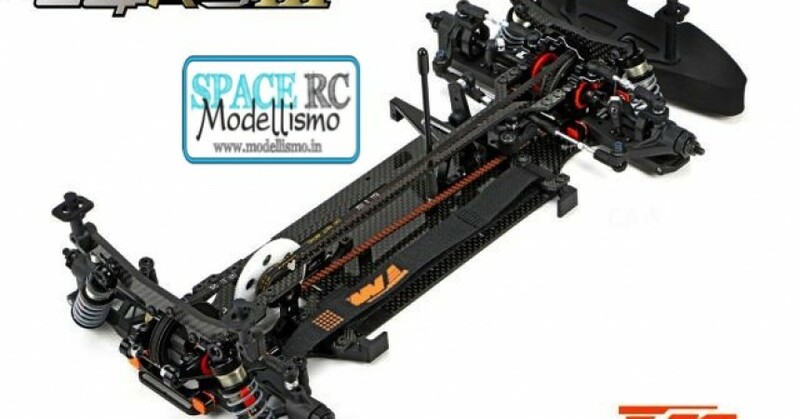 Most of the modifications made will increase the car’s precision, corner speed and steering angle. 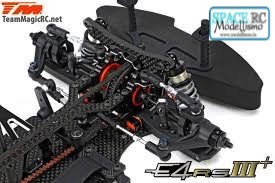 The III+ builds on a symmetrical carbon fibre main chassis plate, the aluminium bulkheads feature 1-piece upper aluminium covers with ultra-thick shock towers and the optimised front steering knuckles sport an additional Ackermann mounting position while offering increased steering throw. Part of the package are also dual-joint front driveshafts, included is an aluminium spool body with steel outdrives, and the standard length shock absorbers are equipped with teflon shock guides and aluminium spring cups. Also included are low-profile battery guides, a laterally adjustable motor mount as well as orange, ultra fine-tune suspension inserts with 0.2mm increments. 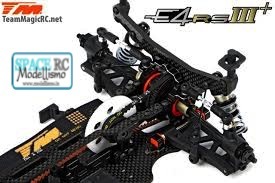 For current E4RS III owners Team Magic will also release an upgrade kit. The III+ is set for a release in the second week of December.